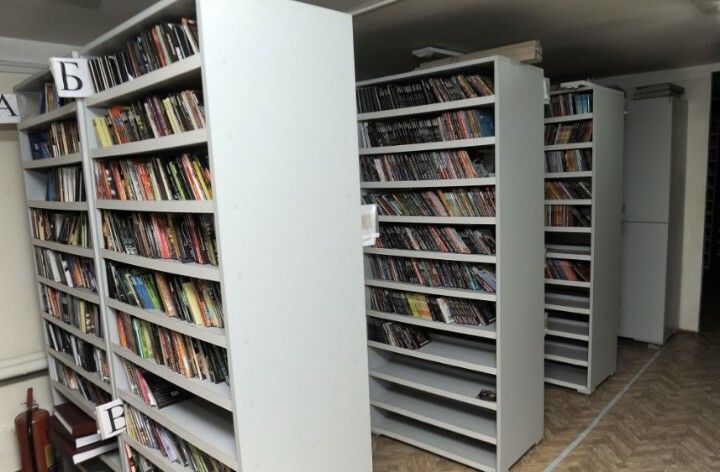 The Republican Library for the Visually Impaired People has 1,500 Regular Reader. The Republican Library for Visually Impaired People started to service on June 1, 1981 under the Azerbaijan Society of the Blind. The mission of the Library is to provide library and information services for visually handicapped people identified to belong to group I or II. The Library includes books published by the Braille method (a system of reading and writing by touch), audio cassettes, CDs, periodicals, and 20,000 copies of literature. The Library has 1,500 regular readers. Most readers have special or conventional recorders for listening to tapes. The books are recorded in Azerbaijani in the studio created by the Society for the Visually Impaired People, and the books on Braille are published in the printing house. This fact was duly noted by the Deputy Director of the Republican Library for the Visually Impaired People, a member of the Azerbaijan Society of the Visually Handicapped People Tofig Balayev. Mr. Balayev explained that the State provides visually impaired people with monthly social benefits or pensions. In addition, disabled persons of the 1st group who do not have the right to a labour pension (including visually impaired people of the 1st group), receive a monthly Presidential stipend along with a social allowance. On the other hand, the base disability pension is twice as large as the base pension for labor. In December 2015, the Ministry of Labour and Social Protection of Population handed over to the visually handicapped people a 12-storey residential building of 132 apartments in Baku. ‘I can proudly say that I also received an apartment there, the keys of which I received personally from President Ilham Aliyev. The Heydar Aliyev Foundation created regional information centres for visually impaired and visually handicapped people in various regions of our country. In these centres, these individuals can make extensive use of information and communication technologies,’ T.Balayev added. 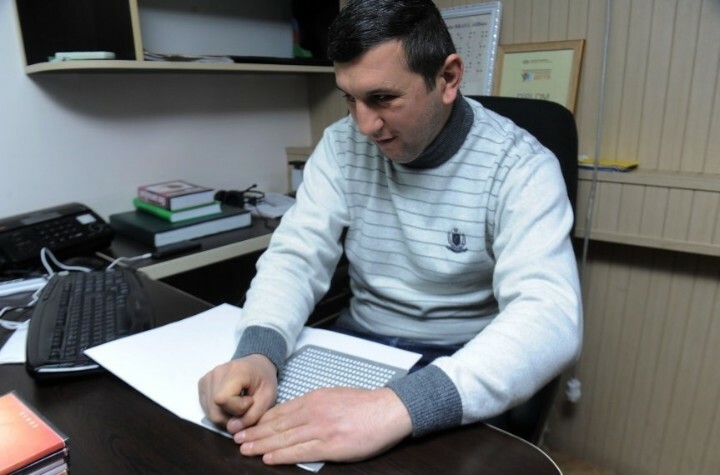 According to Mr. Balayev, the Ministry of Culture and Tourism of Azerbaijan has undertaken to finance the recording of books both on Braille alphabet and on compact tapes and disks. 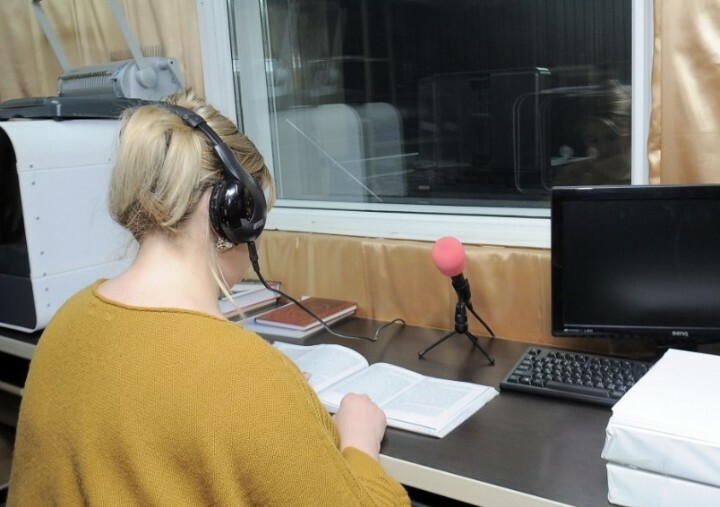 Tutorials for students and applicants, including fairy tales, legends and other works for younger readers are also recorded. Children use the services of the Library with much interest. The Library also serves Russian-speaking readers. For readers and those with other physical handicaps who have difficulties with walking, books are delivered to their home. The services of the Talking Library functioning in the Library can be used by all. Tofig Balayev underscored that fact that there have been a lot of inventions recently that make life easier for the visually impaired. Among them is a special GPS navigator, which determines the direction they need. All this makes life easier for people with limited vision.